This Real Snow solves the problem of hiding ground blinds, heated pit blinds and other hunting gear in snow covered fields. 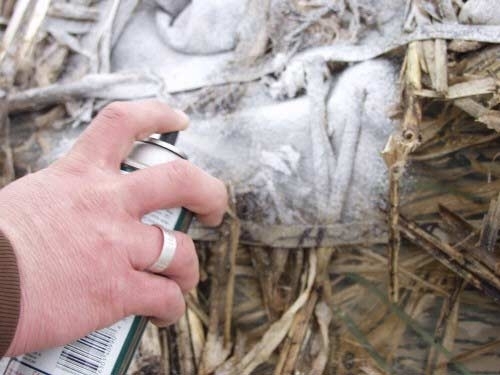 Real Snow is specially formulated not to damage hunting blind covers, clothing, guns or other hunting equipment. RealSnow is made from an exclusive formula will not reflect UV light and can be added to or removed easily to match changing conditions. A light coat will blend perfectly with a 1" dusting of snow, while a heavy coating allows you to disappear in 6" of fresh powder. Real Snow applies in seconds and is easily removed at the end of the season or after an early thaw. 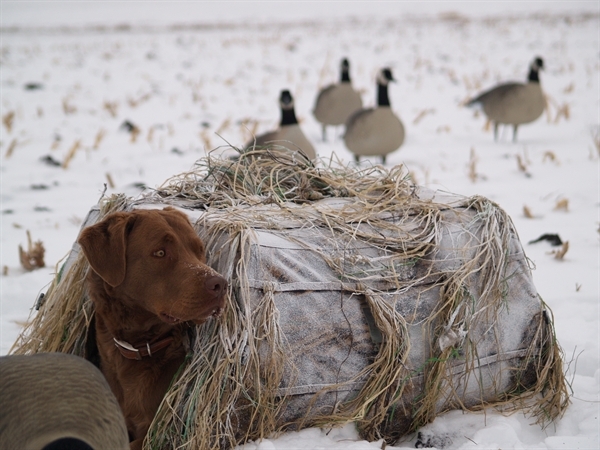 This is truly the ultimate weapon for late season waterfowlers. 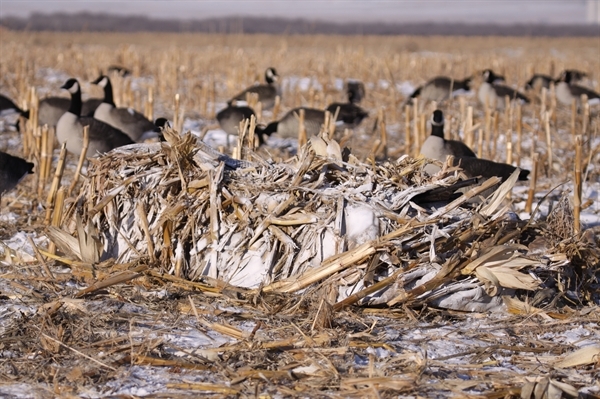 One 18-ounce can covers your favorite ground blind.